Give your address book a Lily-style update! When you are communicating with customers, or looking up past communication, it’s helpful to know more than just the email address of the person you are talking with. When your Lily address book is complete, efficient communication with customers and collaborating with your colleagues regarding that customer communication is a breeze. Whether you are a company just starting out with contacts written on post-its all over your desk or an already established company with a large address book, compiling a new address book is not an exciting task. 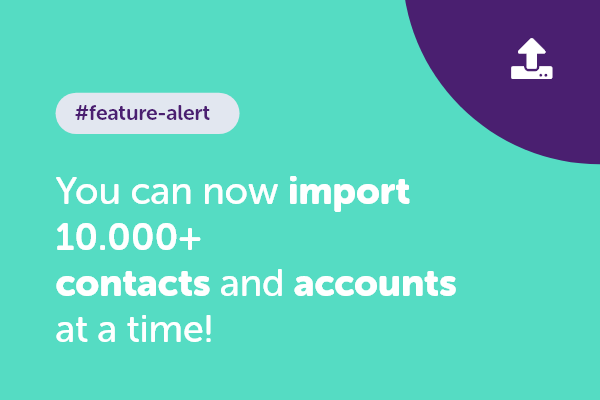 To make this easier, we made it possible to import spreadsheets with contacts or accounts into Lily. With this feature, you can upload a .csv file into Lily and contacts or accounts are automatically created. While this feature has been available for a while, the first version only supported small lists of contacts. With our new and improved version, a much larger list can be imported at once (our test case was 30,000!). Not only are larger lists supported, but we also added another bit of Lily magic: Contact merge. Since contact lists are usually compiled over time and could have overlapping information, during the import process the .csv file is searched and entries that have a matching first name, last name, email address, and phone number are merged into one contact. If you want to know more about the parameters for the .csv file or how exactly the merge feature works, check out our guide in the help center. If you have any questions, are having trouble, or would like to give us feedback, please chat with us in Lily or send a message to lily@hellolily.com. We’d love to hear from you! One thought on "Give your address book a Lily-style update!"